METROPOLITAN was created for the younger customer seeking a chic minimalist look for a limited budget. Most low cost bathroom ranges are dated and lack style and appeal, Metropolitan has a balanced mix of curves and straight lines resulting in a strong statement for today's smaller bathrooms. The elegant btw pan comes with a Soft Close Urea Seat. 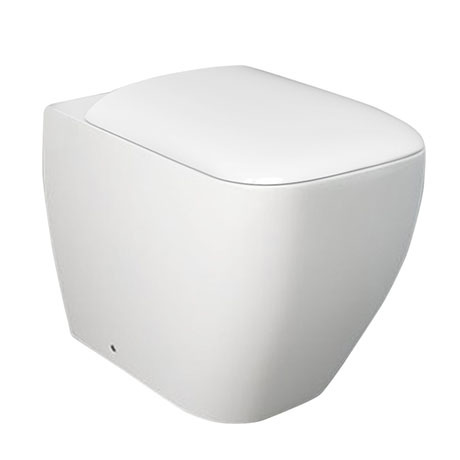 Designed to be used with a concealed cistern (not included) either placed behind a wall or in a vanity unit. Q. my seat has come loose how do i tighten it ? I am sorry to hear your seat has come lose. I would advise referring to the fitting instructions and follow the fixing bolt instructions to fasten. Failing that please contact our Customer Service department to diagnose if this is caused by a fault.